I always hated track, but loved to run. 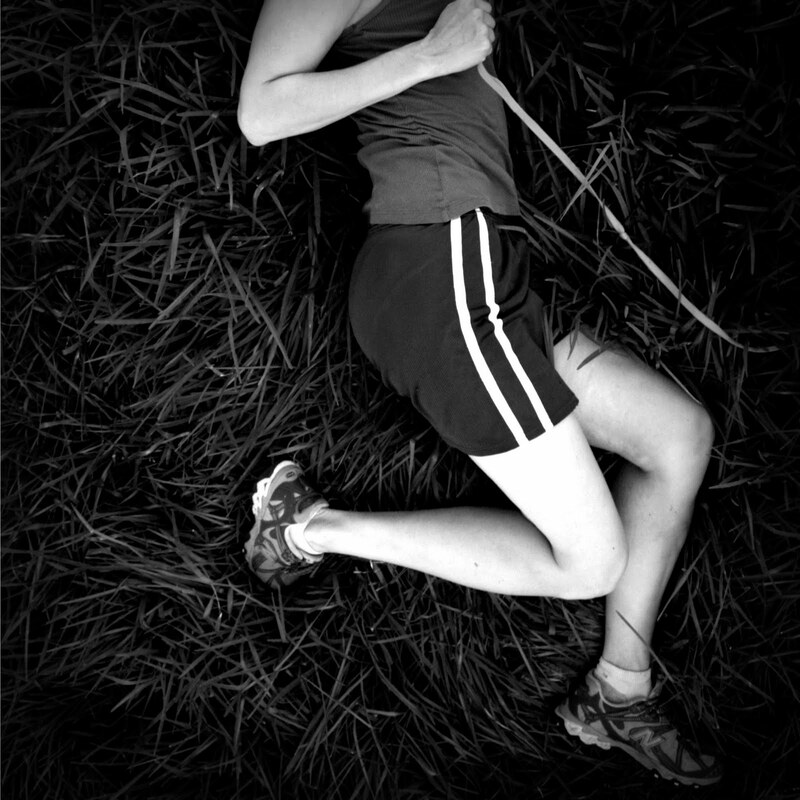 After running every day in track (yuck) I'd come home and sometimes run some more. Some Saturdays I'd run to a pick up a friend and we'd take off for another 3-5 miles. As an adult, I'd run my daughter in a stroller, play chase, run bleachers, run trails, and always get a little run in if we went to the beach. That is, until about 3 years ago when it was all I could do to finish a run with the excruciating pain in the balls of my feet. A doctor and chiropractor later, I was told my arches had fallen. It was obvious. I could see it and my shoe size had gone up by a half. The whole foot rolled inward. Was this caused by the time I'd been spending barefoot in taekwondo, my age (mid thirties), my mileage (we're not talking marathon, here), trying to sprint more; or, as the book I'm now reading suggests, was it the super structured, supportive shoes I was wearing? 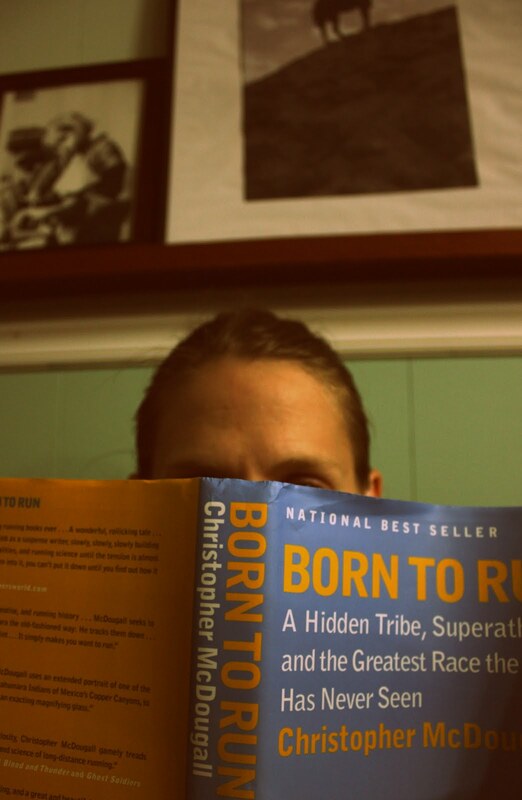 Well, this book, Born to Run, has got me thinking about the course of events and my chiropractor confirmed that my arches wouldn't strengthen while I was wearing supports. I'm really intrigued by the idea that it's the heel support and heel strike that weaken our arches in the first place. And gradually walking and running without so much shoe, might get them back into shape. So, it's time to give "Chi Running" another try. This time, a real try. If I combine what I remembered about it with what I am reading about the stride of the Tarajumara people of Mexico who run in huraches and never suffer injury, I may be able to retrain myself to run the way I probably did as a child. Before the magazines and coaches said to strike at my heel and roll forward. So, my first step was to go barefoot around the house more for a couple of weeks. So far so good. I also incorporated my chiropractor's arch exercises each night: picking up a golf ball with my feet and sitting in front of a towel on the floor, using my feet to bunch it up toward me. Then I roll them out on the golf ball. My first "more minimal" run was yesterday. I tried to get that feeling of leaning into the wind from the ankles, not the waist, chest open. I kept my knees bent and relaxed and let my feet softly stroke the ground from mid or fore foot to spread toes, never striking in front of my hips. I took lots more steps, trying to relax and listen to what any pain could tell me about my mechanics. Anyway I felt so awkward! I was out of breath just from the mental energy I was expending. I remembered a time when my brother and I saw some kids playing outside of my apartment and he laughed, saying they all ran like Scooby Doo with feet circling, but torso unmoved. I don't know, maybe they've got the right idea. I did feel like I was going nowhere yesterday. But, (even though the shoes I chose were so loose that they rubbed a big blister and I had to walk/ run the last half) I actually ran that 1 1/2 mile faster than normal without realizing it. Today, my calves were sore like I'd done calf raises, but not too bad. Before trying again, I scavenged the internet for shoe types that were good to transition to near barefoot running, hoping I'd have something like it in my closet. I settled on some casual low heeled new balance shoes. My chiropractor would definitely cringe. And I cringed too. In fact, I had trouble relaxing again and it wasn't just because of all the loose dogs in the neighborhood. I've been seeing my little feet as time bombs, ready to explode and end my mobility for life. Cheery, huh? I can't remember a time in the last 3 years that I ran with the old abandon I'd always had. This has to stop. I wasn't given a spirit of fear. I really wasn't. Besides, though my calves are a little sore from being worked differently, I had absolutely no pain in the ball of my foot from my arches today. wow. I never really gave thought to any of this. I was a competitive runner in college, however long distance was not my specialty. I hate shoes, wear flip flops or flats all the time even in winter. I haven't had arch problems yet. I also wonder if running in Waffle's would help, as they're pretty flat but still have a little bit of cushion. I remember talking with a coach who was telling me about some runners from Kenya (I think) who were among the best in the world, and normally trained and compete barefoot. They were set to compete in some marathon in the states, but were mandated to wear shoes. Man I need to start running again. lol. Thanks for this post. I think there's something to it, Mon. It's been a couple of weeks and my feet feel much better than normal when I run, and all this time barefoot would normally have me hobbling by nighttime, but I'm fine! I did order a minimal shoe, more than waffles even, though.